When people visit Miami they expect excellence across the board. 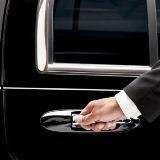 And for those in need of professional and courteous chauffeur services the preferred limo company of choice is Premier Miami Limo. Our company was built on providing safe, dependable and professional limo services to individuals that demand quality in every aspect. From working with large corporations to hosting private parties, our team strives to exceed the expectations of every guest by placing a focus on the smallest details and ensuring the safety, comfort, and enjoyment of all of our clients. Our professional team of licensed and experienced chauffeurs will provide you with exceptional customer service. With every limousine service we offer, we will always ensure your experience is a most pleasurable one. Premier Miami Limo has provided 5 star executive and leisure limousine services to visitors coming into South Florida from all around the globe. We are recommended exclusively by the region’s top venues, including The South Beach, Fontainebleau Hotel, as well as top restaurants and night clubs all looking to have their clients treated like celebrities. Which is the only way we know how to do it at Premier Miami Limo. You will be impressed by our stunning line-up of premium, latest model Mercedes S550, Cadillac Escalade, Executive Mercedes KONFER, Limousine style Mercedes Sprinters, and the only extended black on white Rolls Royce Phantom in the entire South Florida to accommodate any size group with any specific preference. We will custom tailor any itinerary, corporate or leisure, to meet your needs. For your next event or special occasion look no further than Premier Miami Limo and leave the driving to us. We look forward to assisting you with all of your future ground transportation needs. May all of your travels in life be safe, comfortable, and luxurious.